... is a collaboration with Spolia. This design label aims to use creative reincarnation to put historic building materials into a contemporary context. 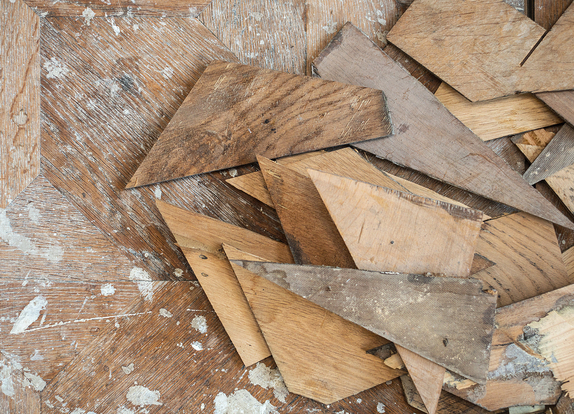 We broke down the original symmetry of a 130-year-old star parquet panel flooring, which we saved from demolition, and rearranged its basic modular components. This resulted in three sizes of angular trays. The largest one can also be used as a side table, which rests on feet that can be easily mounted without tools. Brass joins wood to enable and emphasize the parquet's new functions.